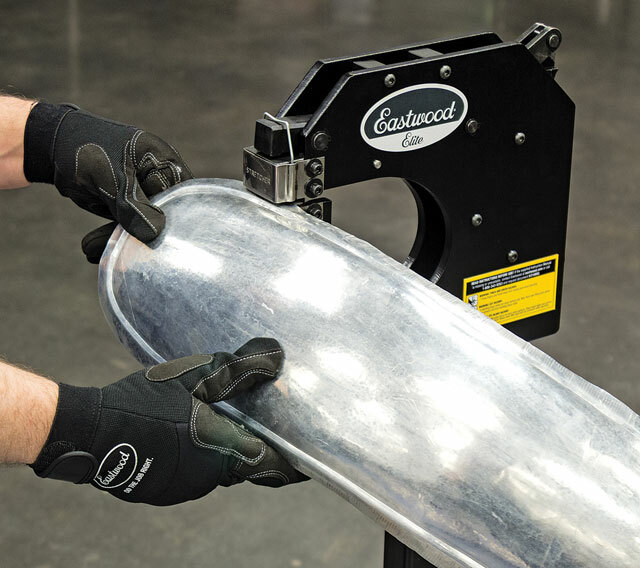 The Eastwood Elite Deep Jaw Shrinker Stretcher is designed for heavy-duty commercial use and features an extra-deep, 7” throat depth and wider jaws to allow working larger pieces and panels. Shrinking jaws contract metal to create inside curves; stretcher jaws expand metal to create outside curves. Use both to create distinctive shapes and designs, or recreate original shapes on your project vehicle. The Shrinker Stretcher can easily be mounted in a vise or on top of a work bench. The optional stand for 21489 Eastwood Elite Deep Jaw Shrinker Stretcher - Adds significant leverage over the standard 17" handle. User suffers from less fatigue, while putting more shrinking or stretching force to the work piece. 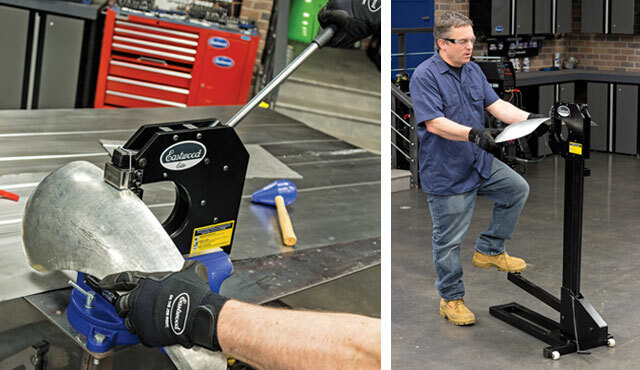 The foot pedal enables the user to hold and maneuver the work piece with both hands. Does not include stand.The Eastwood Elite Deep Jaw Shrinker Stretcher is designed for heavy-duty com..